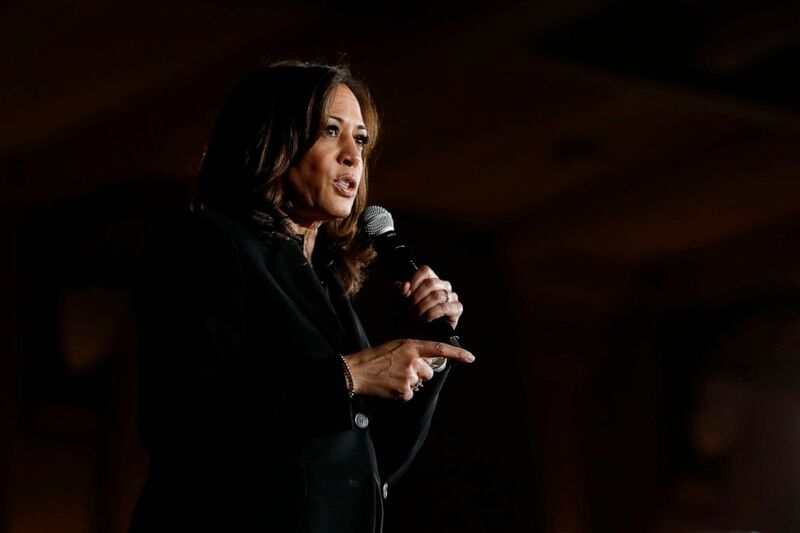 (Charlie Neibergall/AP) Democratic presidential candidate Sen. Kamala Harris speaks during a town hall meeting at the University of Iowa, April 10, 2019, in Iowa City, Iowa. 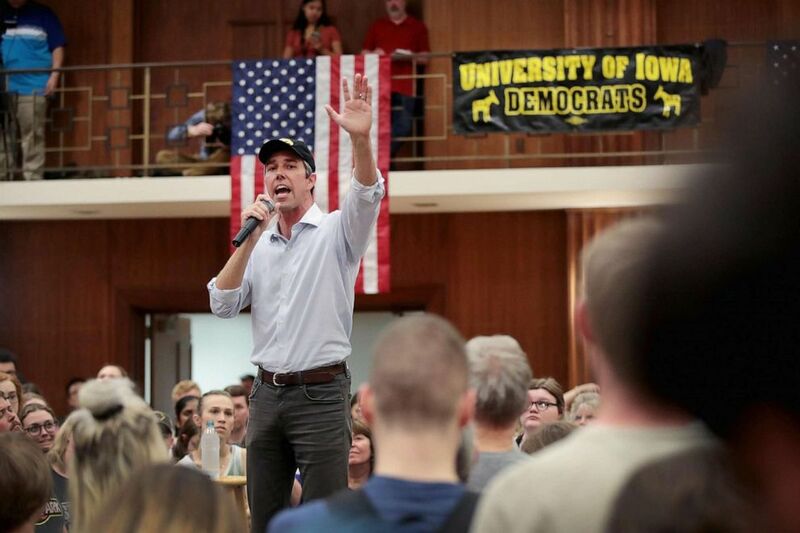 (Scott Olson/Getty Images) Democratic presidential candidate Beto O’Rourke speaks during a campaign rally at the University of Iowa, April 7, 2019, in Iowa City, Iowa. 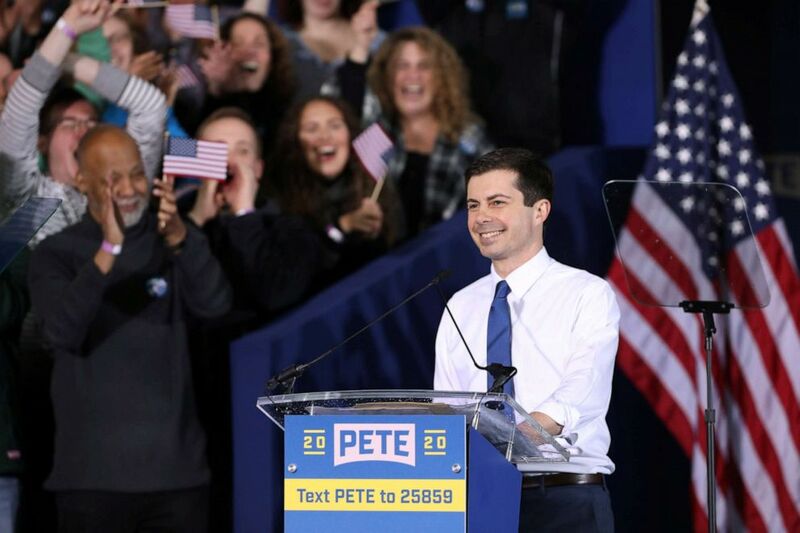 (John Gress/John Gress/Reuters) South Bend’s Mayor Pete Buttigieg speaks during a rally to announce his 2020 Democratic presidential candidacy in South Bend, Ind., April 14, 2019. President Donald Trump will be traveling to Minnesota for a roundtable on the economy and to tout his Tax Cuts and Jobs Act. Sen. Bernie Sanders continues his tour of Midwest battleground states, with an event in Wilkes-Barre, Pennsylvania, before participating in a town hall hosted by Fox News at 6:30 p.m.
Sen. Cory Booker continues his “Justice for All” tour with four events across the state of Iowa in Woodbury, Carroll, Story and Polk counties. Former Texas Congressman Beto O’Rourke makes his first trip to the state of North Carolina since announcing his candidacy. The visit will include stops in Greensboro, Charlotte and Chapel Hill. Sen. Elizabeth Warren holds an organizing event in Beaufort, South Carolina. Former Housing and Urban Development Secretary Julián Castro holds two events in Des Moines, Iowa. Washington Gov. Jay Inslee holds two events in South Carolina centered around environmental justice, one in Spartanburg and one in Greenville. Entrepreneur Andrew Yang holds a rally at the Lincoln Memorial in Washington at 6 p.m.
Former Maryland Congressman John Delaney holds six events across the state of New Hampshire. First quarter fundraising reports for presidential, U.S. Senate and U.S. House candidates are due to the Federal Election Commission Monday.